The location was excellent. The shower worked well. the bed was comfortable. 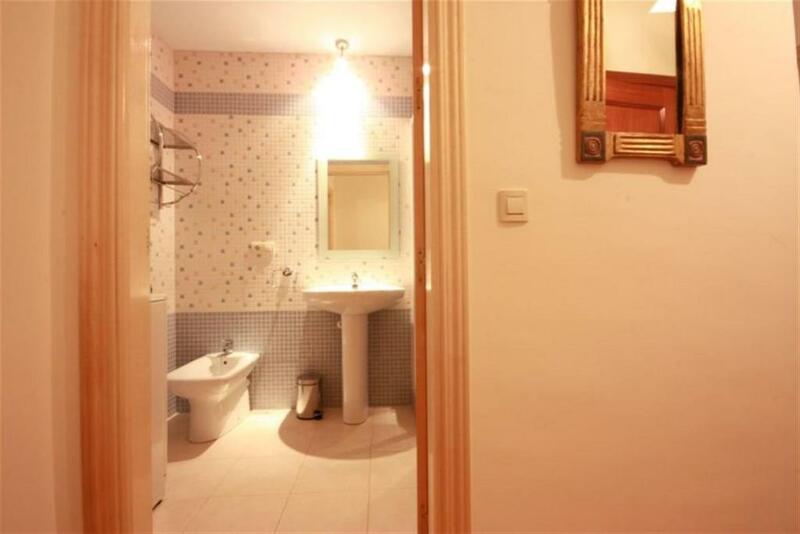 Clean property, comfy beds, close to the attractions. Only 100yards from the central plaza of the city . Easy to get taxis and public transport from there. The appartment was very nice and clean. It had everything you might need. The location is great, there are tapas bars within 100m from the door. And almost everything worth seeing is within a walking distance. For this location it is also very quiet. Imformative and friendly staff. Good facilities and clean apartment. Location is the best. La zona en la que se encontraba el apartamento. La calefaccion, comodidad de las camas y sofa. También estaba bien equipada la cocina. La ubicación limpieza, espacio y que no falta absolutamente nada en el piso. La ubicación está cerca del centro. El apartamento es muy amplio la cocina cuenta con buen menaje. Está limpio y dispone de aire acondicionado en todas las habitaciones. La ubicación excelente. El apartamento genial. Todo estupendo, cuando vuelva a Granada repetiré alojamiento. La ubicación ya que estás muy cerca de todos los puntos de interés de la ciudad. Lock in a great price for Friendly Rentals Plaza N Centro I – rated 8.3 by recent guests! 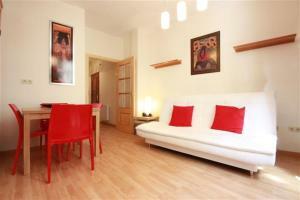 Located in Granada, 600 feet from Albaicin, Friendly Rentals Plaza N Centro I has a living room with a flat-screen TV. This property has a terrace. 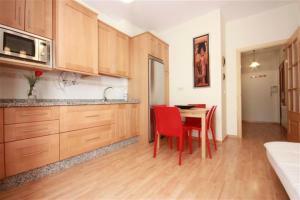 The air-conditioned apartment consists of 2 separate bedrooms, 1 bathroom and a living room. 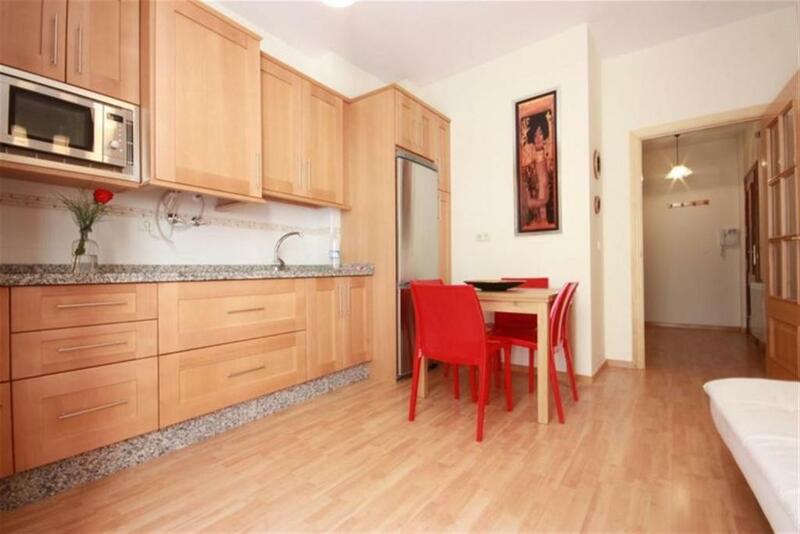 The kitchen has a microwave and a toaster, as well as a coffee machine and an electric tea pot. Paseo de los Tristes is half a mile from the apartment, while Granada Cathedral is 0.6 miles from the property. 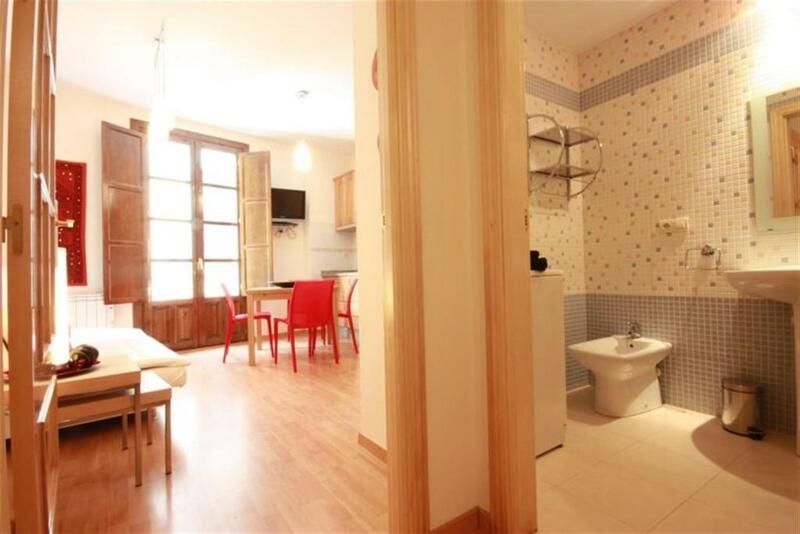 The nearest airport is Federico Garcia Lorca Granada-Jaen Airport, 14 miles from Friendly Rentals Plaza N Centro I. 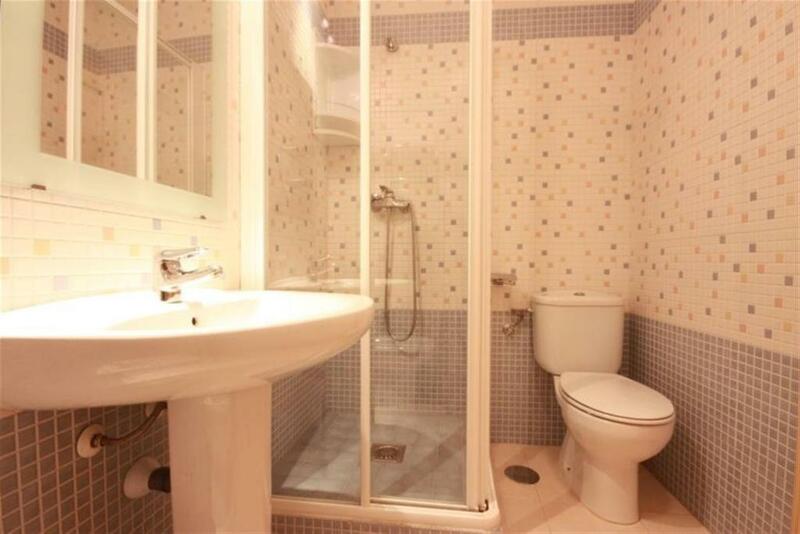 뀐 Located in the real heart of Granada, this property has an excellent location score of 9.4! When would you like to stay at Friendly Rentals Plaza N Centro I? Perfect combination of location, comfort and quality accommodation The Plaza Nueva Centro I apartments have all the features of the ideal accommodation for a few days stay in Granada, as they offer everything you can ask for in an apartment, from the location, to the furniture, and all the way down to the details that grant these apartments their distinct Andalusian touch. The entrance hall opens onto the living/dining room which has a fully equipped open plan kitchen, a great quality sofa bed and a dining table to enjoy your meals in the apartment. The hall gives way to two bedrooms, both with quality beds, and to the apartment's full bathroom. From the main bedroom you can access a private patio where you can enjoy your evenings in total harmony. The second bedroom has bunk beds, and both bedrooms have wardrobes so that guests can store all their belongings. It's the ideal choice for families or large groups since we offer two apartments in the same building, each one with sleeping capacity for 6 guests. Granada's Easter Week in these apartments is simply fabulous, as some of the best procession can be best seen from the apartment's balconies. 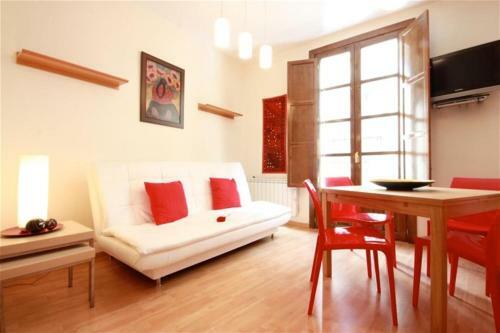 Friendly rentals is a company based in Barcelona that specialises in short and mid-term rental of apartments. Since our beginning in 2003 our aim is to offer our clients the best selection of apartments at the most competitive prices. Whether you are travelling for business or for pleasure, as a couple or family we can be sure to offer you the perfect apartment. A dynamic city, Granada has a historic centre with a great variety of architectures from different periods, which makes it a great attraction for the visitor… from the large avenues to the long side streets that run through the city, its streets are the perfect setting for large firms as well as smaller businesses where the owners surprise us with vanguard designs. We can enjoy endless stops on a culinary tour of the city with something for everyone, even those with the most refined of palates. There are plenty of museums and monuments situated in this part of the city – the Cathedral, considered the first Renaissance church in Spain and one of the greatest exponents of this artistic order. The Catholic Kings mandated its construction in 1492 and it was originally based on the gothic model of the Toledo Cathedral. You can visit the temple and its architecture and decoration, the royal mausoleums, and the crypt, the main altarpiece, the fenceline, the altarpieces and the baroque sculptures. House Rules Friendly Rentals Plaza N Centro I takes special requests – add in the next step! Please note that the check-in hours are from 15:00 to 21:00 and the check-out hours are from 6:00 to 11:00. 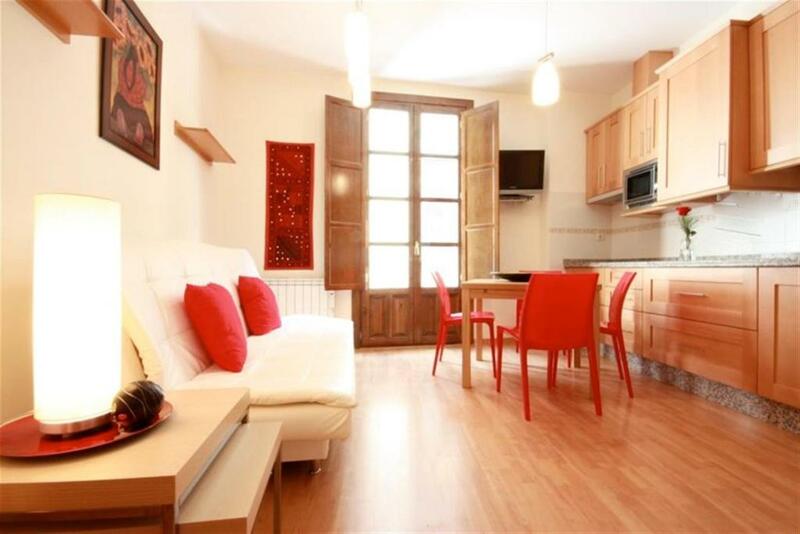 Guests arriving after the standard check-in hours should inform Friendly Rentals' office in Granada. A late check-in between 21:00 and 2:00 has an additional fee of 30 EUR. Please note that parties are not allowed in the property. Please note that check-in and key collection take place at: Friendly Rentals Office // Calle Cuenca, 6-8, Granada 18002. Please inform Friendly Rentals Plaza N Centro I of your expected arrival time in advance. You can use the Special Requests box when booking, or contact the property directly using the contact details in your confirmation. Unfortunately on our visit there was constant noise from a gap site right next door where building works continued for the best part of the day. Shower was appalling.Would not have hot water for one shower and would last for less than 3-4 minutes. Keys had to be collected from the host. Not helpful with info or with any problems at the accommodation. The lights went out twice in our stay and the host did not answer the calls to rectify it. Had to search for the fuse box to sort it out. You need to pick up the key at a different location that where the appartment is. Since it was raining quite heavily we had to take another taxi to get form the key pick-up location to the appartment. Less hot water during morning shower.